Orlando, FL, October 30, 2012 – Embraer Executive Jets has expanded its new iPad App – eTechPubs – beyond the Phenom aircraft to include the Legacy 600 and Legacy 650, eliminating the need to carry a 40-pound flight bag filled with paper manuals. The new App provides increased customer convenience in accessing all technical information. Already available for Phenom customers, the eTechPubs App offers, with a touch, real-time information at operator’s fingertips at all times. The information is updated wirelessly. Operators with a valid technical manual revision service can use the eTechPubs App to download all technical manuals to a single iPad as part of their subscription. The eTechPubs App also works offline, without an internet connection. Features include key-word search, ability to bookmark procedures under “favorites” as well as the ability to bookmark the most-referenced pages. Additional features include a history capability providing quicker navigation and links for easy communication of comments to Embraer Executive Jets. For more information about Embraer Executive Jets, see: www.EmbraerExecutiveJets.com. Orlando, FL, October 29, 2012 – Embraer Executive Jets is now offering an optional increase in Maximum Zero Fuel Weight (MZFW) for the Phenom 100 for those requiring a higher payload capacity. The move expands the flexibility of the entry-level jet affording additional capacity for passengers and baggage. The optional MZFW increase is already available for new aircraft and will be available shortly for retrofit via Service Bulletin. Etihad Airways, the national airline of the United Arab Emirates has signed a firm order for two additional A330-200 passenger aircraft as part of the carrier’s continued growth plans. These newly ordered aircraft, like Etihad’s current A330 fleet, will be powered by Rolls-Royce Trent 700 engines. Etihad Airways has also converted seven of its previously ordered A320s to the larger and increasingly popular A321 model. The A330 Family, which spans 250 to 300 seats, and includes Freighter, VIP, and Military Transport/Tanker variants, has now attracted more than 1,200 orders and around 900 aircraft are flying with over 90 operators worldwide. Ever since the original version of the A330-300 entered service, the hallmark has been its very efficient operating economics and benchmark reliability above 99 percent. ROKAF BASE GIMHAE, South Korea, Oct. 31, 2012 -- Boeing [NYSE: BA] on Oct. 24 delivered the fourth and final 737 Airborne Early Warning and Control (AEW&C) aircraft to the Republic of Korea Air Force (ROKAF), demonstrating the continuing success of the company's partnerships with local industry. "We delivered five weeks ahead of schedule thanks to the hard work, focus and close collaboration among the ROKAF, Korea's Defense Acquisition Program Administration, Boeing and our in-country suppliers," said Rick Heerdt, Boeing vice president of Airborne Surveillance, Command and Control. 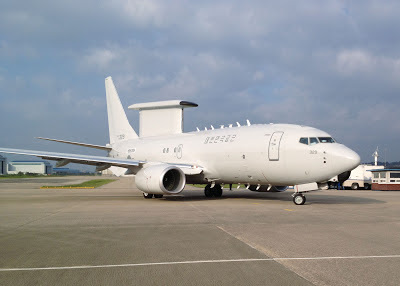 Korea Aerospace Industries (KAI) modified and supported testing of three of the four 737-based Peace Eye aircraft at its facility in Sacheon. "Throughout the program, KAI demonstrated its outstanding technical capability and modification experience in delivering this powerful airborne surveillance and battle management capability that enhances the security of the Korean peninsula," Heerdt said. Samsung Thales: mission crew training. Huneed Technologies: ground-based datalinks communications system. The AEW&C team has delivered all ground support segments for mission crew training, mission support and system maintenance to ROKAF Base Gimhae, the Peace Eye fleet's main operating base. Boeing is providing on-site technical support, training and spare parts as part of an interim support program. This allows seamless support of the Peace Eye fleet as it transitions to a through-life support program. Boeing also has delivered six AEW&C aircraft to Australia. Four other AEW&C aircraft are in production for Turkey. The 737 AEW&C aircraft is designed to provide airborne battle management capability with an advanced multirole electronically scanned radar and 10 state-of-the-art mission crew consoles that are able to track airborne and maritime targets simultaneously. The mission crew can direct offensive and defensive forces while maintaining continuous surveillance of the operational area. OAKEY, Queensland, Oct. 31, 2012 -- Flight instructors from Boeing [NYSE: BA] subsidiary Boeing Defence Australia (BDA) recently traded their training posts at the Oakey Army Aviation Centre for Gold Coast beach patrols as part of a unique arrangement between BDA and Surf Life Saving Queensland (SLSQ). The Westpac Lifesaver Rescue Helicopter Service provided three-day training sessions for 12 BDA helicopter instructors on its EC135 aircraft, giving them hands-on experience with the aircraft Boeing has offered in a bid for the Australian Defence Force's Helicopter Aircrew Training System (HATS) program. The SLSQ plans to use the funds earned from the BDA training to invest in equipment upgrades. "The training provided an opportunity for BDA to experience the Eurocopter EC135's capabilities in a variety of real-life situations," said Mark Brownsey, BDA Army Aviation Training and Training Support (AATTS) project manager. "The program is part of our pilot engagement strategy, which allows BDA instructors to update their skills on a modern aircraft to support our partnership with the Australian Army." The BDA flight instructors on the AATTS program currently provide basic flight training to Australian Army pilots using Kiowa aircraft, and more than 100 pilots have graduated from the program in the past five years. HATS is a follow-on contract to AATTS and will provide training to Royal Australian Navy and Australian Army pilots. "The training partnership between Boeing and SLSQ has provided an excellent opportunity for our pilots to share information about this very capable, technologically advanced twin-engine aircraft," said Peter Bird, chief pilot for the Westpac Lifesaver Rescue Helicopter Service Queensland. "BDA's training investment will help the SLSQ fund ongoing equipment upgrades for the service so it can continue to provide this important public service along the Gold and Sunshine coasts." Boeing Defence Australia, a wholly owned subsidiary of The Boeing Company and a business unit of Boeing Defense, Space & Security, is a leading Australian aerospace enterprise. With a world-class team of nearly 1,300 employees at 15 locations throughout Australia and four international sites, Boeing Defence Australia supports some of the largest and most complex defense projects in Australia. EVERETT, Wash., Oct. 30, 2012 /PRNewswire/ -- Boeing (NYSE: BA) today delivered a 777-300ER (Extended Range) airplane to Air China, the flag carrier of the People's Republic of China. 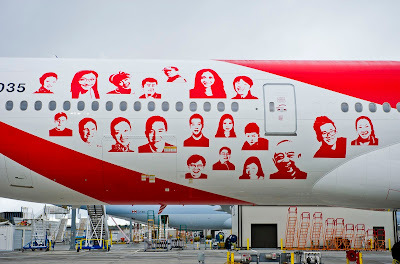 The airplane livery features a distinctive blended paint design of 40 smiling faces of Chinese people, to represent the critical role that the Chinese aviation industry has played in bringing China to the world. 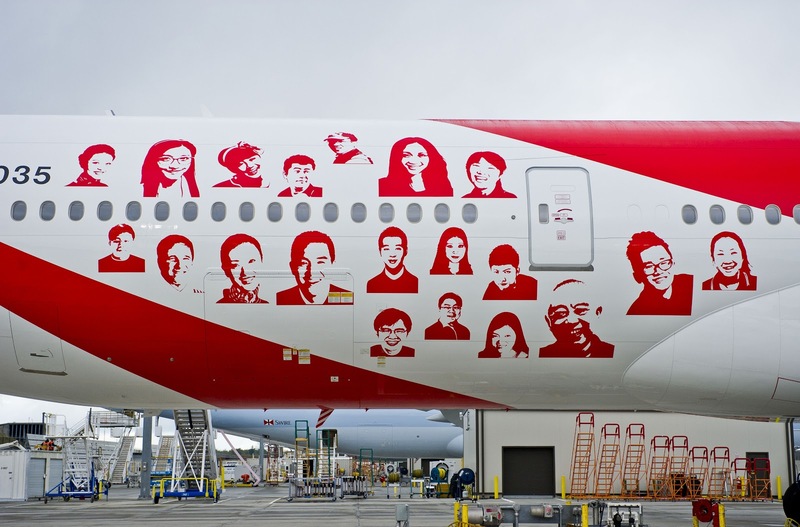 The 40 people portrayed were selected from a social media campaign organized by Air China and Boeing in July 2012. People were invited through the most widely used social media platform in China to submit a smiling face with an inspiring message. 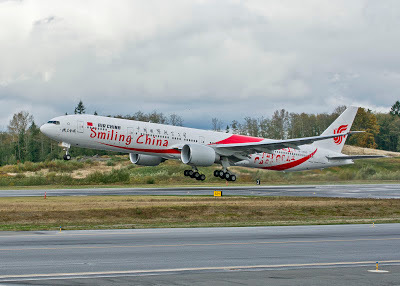 "We hope this special-livery airplane will bridge the connection to bring a smiling, confident and friendly China to the world," said Feng Run E, vice president of Air China. 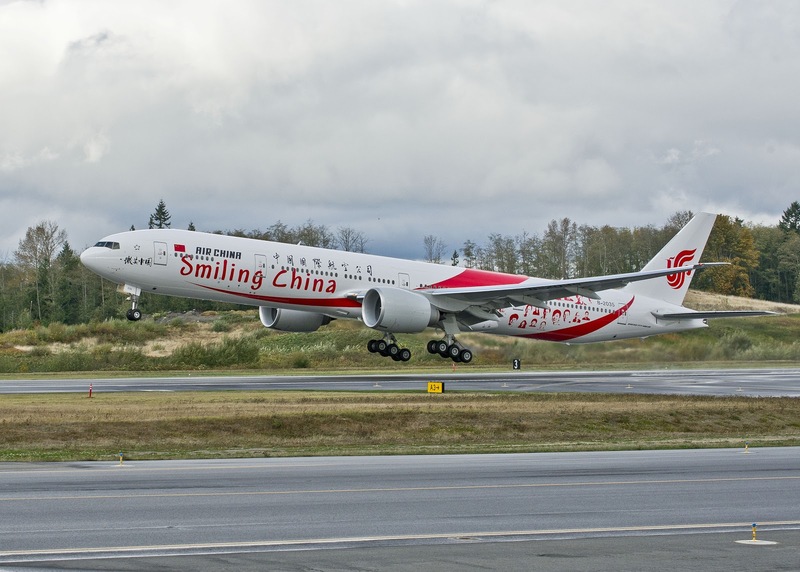 "With the airplane flying around the world, we hope more business travelers will experience the super flight comfort offered by Air China's 777-300ER." The airplane is the 10th of 19 777-300ERs Air China has on order with Boeing. Air China will use the airplanes for route expansion, including direct routes to Frankfurt, London and Paris. "Boeing is celebrating its 40th anniversary in China. Over the past four decades, we have witnessed the rapid development of China's aviation industry and we're honored to be part of its success by providing our best products and services," said Ihssane Mounir, senior vice president of Sales for Greater China, Japan and Korea, Boeing Commercial Airplanes. "We look forward to carrying on this great tradition of growth and development over the next 40 years." To date, 63 customers around the world have ordered 1380 777s. Air China, a member of the Star Alliance, is the only flag carrier of People's Republic of China. It currently owns 167 Boeing airplanes, making up 55 percent of its fleet. MOSCOW, Oct. 30, 2012 - Boeing (NYSE: BA) and Aviation Capital Services LLC, a subsidiary of the State Corporation Russian Technologies (Rostech), announced today a commitment by Rostech to purchase 35 737 MAX airplanes. It is the first commitment for the 737 MAX from Russia and the Commonwealth of Independent States (CIS). Boeing and Aviation Capital Services will work to finalize the details of the order, valued at more than $3.5 billion at current list prices. When complete, the order will be posted to the Boeing Orders & Deliveries website as firm. The 737 MAX is a new-engine variant of the world's best-selling airplane and builds on the strengths of today's Next-Generation 737. The 737 MAX incorporates the latest-technology CFM International LEAP-1B engines to deliver the highest efficiency, reliability and passenger comfort in the single-aisle market. Airlines operating the 737 MAX will see a 13 percent fuel-use improvement over today's most fuel efficient single-aisle airplanes and an 8 percent operating cost per seat advantage over tomorrow's competition. To date, Boeing has received 858 orders for the 737 MAX. Aviation Capital Services LLC is an aircraft leasing company established in Feb. 2011 with 100 percent participation of the Russian Technologies State Corporation Company. Aviation Capital Services LLC is one of the leading aircraft leasing companies in Russia and CIS. MOSCOW, Oct. 30, 2012 /PRNewswire/ -- Boeing [NYSE: BA] and the State Corporation Russian Technologies (Rostech), a majority shareholder in the joint stock company VSMPO-AVISMA Corp., are working on an agreement to expand collaboration in titanium procurement and technology development. Boeing and Rostech also are seeking to increase their cooperation in commercial aviation services. Ray Conner, Boeing Commercial Airplanes president and chief executive officer, and Sergey Chemezov, chairman of the board of VSMPO-AVISMA and chief executive officer of Russian Technologies Corp., pledged to work together to grow the relationship between the two companies. "Rostech has been a reliable and valuable partner to Boeing in Russia for many years, and together we achieve results that allow us to grow our businesses," Conner said. "Boeing and Rostech are working hard to further expand our partnership and our mutually beneficial cooperation." "Cooperation with Boeing allows us to offer new technological solutions for the global market. Today VSMPO-AVISMA is one of the largest titanium suppliers to Boeing and its key partner in the field of new alloy development," Chemezov said. "In recent years, the partners have developed three new technologies in a joint innovation center. Extending cooperation with Boeing will help us create even better and more competitive solutions for the global aviation industry." Boeing and VSMPO-AVISMA are considering expansion of their titanium-production joint venture Ural Boeing Manufacturing (UBM) to support ongoing production increases for the Next-Generation 737. UBM has purchased four new advanced-technology machines to increase capacity for machining Next-Generation 737 landing gear beams. The machines are scheduled for installation in 2013. Supporting the 737 program, the most popular jet in commercial aviation history, would be a significant milestone and business opportunity for UBM. VSMPO-AVISMA has been a Boeing partner and supplier of raw material and titanium parts through a series of long-term purchasing agreements dating back to 1997, when Boeing awarded its first contract to the Russian titanium producer. Boeing and VSMPO-AVISMA also are working to continue joint support of the Titanium Innovation Center. The center has developed three new technologies that have been utilized in production of the 787 Dreamliner and Next-Generation 737 and may also be used by the Russian aerospace industry. Among these technologies are a new high-strength titanium alloy and a technology for fabrication of titanium sheets for super-plastic forming. The companies will continue developing technologies and alloys to further reduce the cost of titanium parts in commercial airplane manufacturing. In commercial aviation services, the two companies are seeking to work together to develop a component management service to support Russian airline customers. This could reduce investment costs, simplify logistics and reduce delivery time of critical spare parts to Russian airlines. The companies also are exploring ways for Boeing to assist Rostech in further development of in-country repair and overhaul capability for Western aircraft components, in order to grow aviation parts repair and overhaul organizations within Russia. Going forward, this expertise can support Rostech's ability to build an efficient and reliable support infrastructure for Russian-made jets such as the Sukhoi Superjet 100. In July 2009, Boeing and VSMPO-AVISMA opened UBM as a 50/50 equity joint venture based in Verkhnyaya Salda, Russia. UBM is a state-of-the-art facility that machines titanium forgings for the world's most technologically advanced airplane – the 787. Boeing forecasts that over the next 30 years it will spend as much as $27 billion on Russian titanium, aerospace design-engineering services and a variety of other services and materials. Boeing and the Russian aerospace industry enjoy a mutually beneficial partnership that began more than 15 years ago. Two key Boeing centers are located in Moscow. The Technical Research Center develops projects related to cutting-edge technology including new materials, prototyping and aerodynamics. The Boeing Design Center supports all major Boeing Commercial Airplanes programs and employs more than 1,250 engineers through contracts with leading Russian engineering firms. VSMPO-AVISMA is the world's largest titanium producer, occupying more than 25 percent of the world titanium market and the major supplier of titanium to Russia. The main shareholder is Rostech, which owns more than 70 percent of the company. VSMPO-AVISMA has long-term contracts with the leading foreign aircraft manufacturers. The Russian Technologies State Corporation, established in November 2007, assists Russian industrial organizations in design, production and sales in the domestic and foreign hi-tech product markets, as well as in applied research of promising trends in scientific and technical development and introduction of advanced technologies to improve the level of Russian research projects and reduce their production time and costs. Russian Technologies State Corporation includes Rosoboronexport, Oboronprom, Russpetsstal CJSC, VSMPO-AVISMA Corporation, AvtoVAZ and other companies. It’s incredibly light, yet amazingly strong and rigid. Helitt Líneas Aéreas, con motivo de la festividad de Halloween, ha decidido lanzar una promoción especial poniendo a la venta billetes a precios excepcionalmente reducidos. Desde el miércoles 31 de octubre a las 12 del mediodía hasta el viernes 2 de noviembre a la misma hora, se podrán reservar vuelos al precio de 12 euros, impuestos y gastos de gestión no incluidos. Se trata de una oferta de plazas limitadas, pero disponibles en todos los vuelos, rutas y horarios que operará Helitt hasta el 29 de marzo, a los siete destinos a los que volará la aerolínea durante la temporada de invierno: Málaga, Casablanca, Melilla, Badajoz, Madrid, Barcelona y Vitoria. Puede beneficiarse de la promoción todo aquel cliente que realice su reserva a través de la página web de la compañía www.helitt.com, en el teléfono de reservas 902 22 30 20, y en compras realizadas en las oficinas del aeropuerto. Madrid, 31 de octubre de 2012.- La agencia de servicios de navegación aérea de Polonia (Polish Air Navigation Services Agency - PANSA) ha adquirido a GMV magicGEMINI, herramienta software de análisis de prestaciones de navegación y monitorización de sistemas GNSS y sus aumentaciones regionales (SBAS). Con este contrato, GMV se posiciona en el mercado de herramientas GNSS para la navegación aérea. 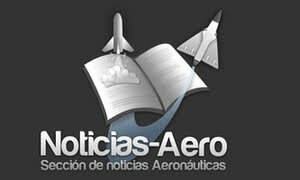 Los proveedores de servicios de navegación aérea (ANSPs) necesitan conocer las prestaciones que sistemas como GPS y EGNOS dan en su territorio. De esta manera pueden analizar, en una fase inicial, las condiciones bajo las cuales éstos pueden usarse (fases y procedimientos de vuelo). Ya en operaciones, la monitorización de prestaciones permitirá detectar problemas en el servicio, y su correspondiente notificación a los usuarios (NOTAM, en el caso aeronáutico). Partiendo de medidas de una red de receptores, magicGEMINI proporcionará a PANSA las prestaciones de navegación de acuerdo a los estándares internacionales usados en navegación aérea (MOPS de la RTCA), permitiendo determinar el grado de cumplimiento del servicio tanto en tiempo real como en post-procesado. La herramienta soporta GPS y GLONASS, así como sistemas SBAS tales como EGNOS (European Geostationary Navigation Overlay Service), WAAS (Wide Area Augmentation System) y la solución magicSBAS de GMV. El contrato con PANSA incluye la provisión de licencias de magicGEMINI, así como actividades de formación de los operadores, soporte y mantenimiento durante un año. 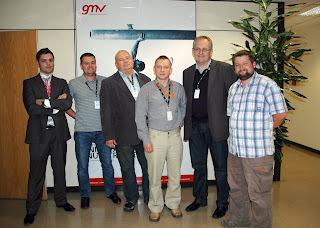 La primera sesión de formación en la herramienta ha tenido lugar a primeros de octubre de 2012 en las instalaciones centrales de GMV en Madrid, y en ella los asistentes han tenido oportunidad de aprender el uso avanzado de la herramienta, en todos sus modos de operación y configuraciones. magicGEMINI forma parte de la familia de productos magicGNSS de GMV, desarrollada en su mayor parte con recursos de I+D+i, y cuyo desarrollo permite a la empresa mantenerse a la vanguardia dentro de las tecnologías involucradas. Helitt: "La ruta Vitoria-Barcelona se inaugura con buenos datos de ocupación"
yer tuvo lugar el primer vuelo de la nueva ruta que la compañía Helitt Líneas Aéreas operará entre Vitoria y Barcelona. Una conexión que ha sido inaugurada con unos datos de ocupación muy positivos, especialmente tratándose de una ruta recién abierta y que aún tiene que afianzarse y seguir ganando la confianza de los pasajeros alaveses. desplazaron 30 pasajeros, lo que supone una ocupación del 45,5%. El trayecto inverso partió de El Prat a las 21:10 aterrizando en Foronda a las 22:25 transportando un total de 48 pasajeros y por lo tanto con un 72,7% de ocupación. En la segunda jornada de esta nueva conexión el trayecto Vitoria-Barcelona ha volado con 37 pasajeros (56%), y el Barcelona-Vitoria de esta noche por el momento cuenta con 25 reservas a falta de que se sumen posibles pasajeros de última hora. Korea Aerospace offers FA-50 fighter jets to the Philippines: Korea Aerospace Industries has offered 12 FA-50 fighter jets to the Philippines Air Force (PAF) for PHP18bn ($43.8m), Philippines defence undersecretary Fernando Manalo has revealed. Madrid.- El anuncio del incremento en una décima del Índice de Precios al Consumo (IPC) en el mes de octubre hecho ayer por el Instituto Nacional de Estadística (INE) confirma la subida de las tasas aeroportuarias en un 8,5% a partir de enero, tal como informamos hace un mes. Madrid.- La ministra de Fomento, Ana Pastor, anunció ayer su intención de dar entrada al año que viene al capital privado en Aena Aeropuertos “como operador global” y no en aeropuertos concretos durante su intervención en un desayuno organizado por la Cámara de Comercio de EE.UU en España. British Airways ha tenido una idea que seguro agradará, e incluso fascinará a más de un amante de los aviones: se trata del Flight Training, abierto a los interesados en aprender a pilotar un avión. Expertos polacos han hallado rastros de materiales explosivos, concretamente trinitrotolueno y nitroglicerina, en los restos del avión presidencial polaco siniestrado en Smolensk (Rusia), donde perdieron la vida los 96 ocupantes del aparato, entre ellos el presidente de Polonia. "Tenemos indicios de que se produjo una explosión" antes de la colisión, ha asegurado hoy el líder del partido nacionalista Ley y Justicia, Jaroslaw Kaczynski, hermano gemelo del entonces jefe de Estado polaco, Lech Kaczynski, fallecido en el accidente aéreo. ADS North America has concluded a national demonstration tour that allowed Army aviators to experience the capabilities of the company’s AAS-72X+ Armed Aerial Scout helicopter offering. The AAS-72X+, an armed derivative of the Army’s highly successful UH-72A Lakota, is on display this week at the Association of the U.S. Army annual exposition in Washington, D.C. The AAS-72X+ will be manufactured by the company’s American Eurocopter business unit in Columbus, Miss., on the same hot production line that has delivered 240 Lakotas on time and on budget. Lockheed Martin provides the mission computer and integrates the mission equipment. From Oct. 9 to 19, company officials provided flight time in a representative aircraft to pilots from the Army’s Armed Aerial Scout community at Fort Riley, Kan., Fort Hood, Texas, Fort Campbell, Ky., and Fort Bragg, N.C.
"We want the warfighters who know first-hand how demanding the Armed Aerial Scout mission is to experience the difference in performance that the AAS-72X+ offers," said Sean O’Keefe, EADS North America Chairman and CEO. The national demo tour followed on the heels of a highly successful Voluntary Flight Demonstration (VFD) EADS North America conducted for Army evaluators in the mountains of Colorado in late September and early October. The VFD was part of the service’s effort to assess potential replacements for the OH-58 Kiowa, which was first fielded more than four decades ago. "It’s time for a competition," O’Keefe said. "We’ve proven that we have an affordable, low-risk solution that can close the operational gap between the demands of the Armed Aerial Scout mission and the limited capabilities of the current single-engine, Vietnam-era aircraft." EADS North America chose to fly its VFD in the mountains to showcase the exceptional performance of the AAS-72X+ offering at the higher altitudes that are most demanding for helicopters. Routinely flying missions between 10,000 and 14,000 feet, pilots met or exceeded Army helicopter performance and handling standards normally assessed at sea level. The AAS-72X+, which is cost-competitive with the upgrades planned for the OH-58, could be fielded with Army units as early as 2016. EADS is a global leader in aerospace, defense and related services. In 2011, the Group - comprising Airbus, Astrium, Cassidian and Eurocopter – generated revenues of € 49.1 billion and employed a workforce of over 133,000. Headquartered in Bethesda, Md., Lockheed Martin is a global security and aerospace company that employs about 120,000 people worldwide and is principally engaged in the research, design, development, manufacture, integration and sustainment of advanced technology systems, products and services. The corporation's net sales for 2011 were $46.5 billion. Orlando, FL, October 29, 2012 – As the first prototype of Legacy 500 midsize jet completes preparation for its first flight, expected in a matter of weeks, Embraer Executive Jets continues work to ensure the program will be mature when the aircraft enters service in 2014. Meanwhile, the second and third Legacy 500 prototypes continue ground testing. In May, Prototype #2 underwent power-on testing and is now in ground testing. Prototype #3, powered up in August, has completed lightning tests and is now undergoing High Intensity Radiated Fields (HIRF) tests. Embraer Executive Jets has begun signing letters of intent for authorized service centers around the world, ensuring facilities will be prepared to service the Legacy 500 and Legacy 450 when they enter service. Seventeen facilities have already been selected. In addition, during the maturity campaign each of the three prototypes will have all maintenance reports uploaded into the Aircraft Health Analysis and Diagnosis (AHEAD) system which collects maintenance data for more efficient, thorough and easier maintenance planning. The computational, web-based maintenance platform is designed to ensure maximum readiness by limiting down time. AHEAD accelerates fault identification, allowing maintenance technicians to plan troubleshooting responses while the aircraft is still in flight. ​Orlando, FL, October 29, 2012 – Embraer Executive Jets and Flight Options are marking the 100th delivery of the light Phenom 300 to the Cleveland, OH-based fractional jet ownership company. The delivery of the 100th Phenom 300 is part of a firm order for 100 aircraft plus 50 options placed by Flight Options in 2007. The company, the second largest fractional ownership operation in the U.S., has taken delivery of 21 Phenom 300s to date and also operates the Legacy 600 in its fleet. Headquartered in Cleveland, OH, Flight Options, LLC, is the second-largest private aviation company in the United States, providing more than 1,300 owners and clients with a full suite of fractional ownership, membership and 25-hour jet card programs. The Company’s fleet flies clients to most of North America, Caribbean or European destinations with as little as 10-hours notice. The five FAA Diamond Award-winning maintenance centers in Las Vegas, Teterboro, West Palm Beach, Sacramento and Cleveland, Flight Options was the first fractional jet operator to receive the ARG/US Platinum Safety Rating and is the only provider to have received the rating six consecutive times. PATUXENT RIVER, Md., Oct. 29, 2012 -- The U.S. Marine Corps has awarded a $74 million contract to the Bell Boeing V-22 Program, a strategic alliance between Boeing [NYSE: BA] and Bell Helicopter - Textron [NYSE: TXT], for seven Osprey ground-based trainers, which will reduce fuel usage and aircraft wear-and-tear, maximizing lifecycle cost savings. The Sept. 25 contract award for Containerized Flight Training Devices (CFTD) also includes the option for the Marines to add one additional unit. "Our trainers prepare warfighters for any task that might be performed in the aircraft while keeping crews and aircraft safely on the ground," said Mark McGraw, Boeing vice president for Training Systems and Government Services. "This positions the Bell Boeing team as the sole, experienced provider for future international sales, as well." The CFTD is used to train aircrews on basic aircraft familiarization and handling qualities, day and night flying (including use of night vision goggles), formation flying, aerial refueling and landing on ships. All CFTDs can be locally networked to one another and to other aircraft trainers to allow for more robust simulations. Bell Boeing has delivered, or is on contract to deliver, a total of 28 Osprey flight trainers. This includes the current CFTDs, earlier MV-22 trainers and those delivered to the U.S. Air Force. The first two of the newly contracted trainers will be delivered to Marine Helicopter Squadron One at Marine Corps Base Quantico, Va., in May 2014 to support presidential transport activities. Other deliveries will follow in Hawaii, California and New Jersey starting in January 2015. More than 145 Osprey tiltrotor aircraft are in operation today, including Marine Corps MV-22s deployed in Afghanistan and Air Force Special Operations Command CV-22s used in ongoing Special Operations missions. Bell Helicopter, a wholly owned subsidiary of Textron Inc., is an industry-leading producer of commercial and military, manned and unmanned vertical lift aircraft and the pioneer of the revolutionary tiltrotor aircraft. Globally recognized for world-class customer service, innovation and superior quality, Bell's global workforce serves customers flying Bell aircraft in more than 120 countries. Textron Inc. is a multi-industry company that leverages its global network of aircraft, defense, industrial and finance businesses to provide customers with innovative solutions and services. Textron is known around the world for its powerful brands such as Bell Helicopter, Cessna Aircraft Company, Jacobsen, Kautex,Lycoming, E-Z-GO, Greenlee, Textron Systems and Textron Financial Corporation. More information is available at www.textron.com. A unit of The Boeing Company, Boeing Defense, Space & Security is one of the world's largest defense, space and security businesses specializing in innovative and capabilities-driven customer solutions, and the world's largest and most versatile manufacturer of military aircraft. Headquartered in St. Louis, Boeing Defense, Space & Security is a $32 billion business with 61,000 employees worldwide. Follow us on Twitter: @BoeingDefense. ORLANDO, Fla., Oct. 29, 2012 /PRNewswire/ -- Boeing (NYSE: BA) announced its intent to offer the BBJ MAX 8 and the BBJ MAX 9, furthering Boeing's dominance in the large cabin ultra-long-range business jet market. The announcement was made today at the National Business Aviation Association (NBAA) Conference in Orlando, Fla. The BBJ MAX 8, based on the 737 MAX 8, will be the first member of the BBJ MAX family to take advantage of the efficiency of CFM International's new LEAP-1B engines and the Boeing developed Advanced Technology winglet. The new engine and Advanced Technology winglet will provide customers with a 13 percent fuel-use improvement. Together, these features will translate to a range of 6,325 nautical miles – a more than 14-percent increase over today's class-leading BBJ 2 that will be validated in final configuration and flight test. The BBJ MAX 8 will share the same cabin size with today's BBJ 2, offering customers a 19-foot longer cabin and three times the cargo space of today's BBJ. The BBJ MAX 8 will also improve on its market leading range capability and maintain the BBJ advantages of lower cabin altitude, unmatched reliability and outstanding product support around the globe. "We anticipate the BBJ MAX 8 will be a very strong seller as a VIP aircraft and will likely capture a larger share of the market because it's the right combination of performance, space and comfort," said Captain Steve Taylor, BBJ president. "For VIP customers, extended range and exceptional comfort are equally important. The BBJ MAX will ensure our customers get the best of both." Boeing also intends to develop the plan for the BBJ MAX 9 based on the 737 MAX 9. Similar performance improvements are anticipated, offering a 6,255 nm range with an even larger cabin than the BBJ MAX 8. Plans for a BBJ MAX 7 are being studied. WICHITA, Kan., Oct. 26, 2012 -- Boeing [NYSE: BA] today marks 50 years since the company delivered its last B-52 Stratofortress to the U.S. Air Force. H-model bomber 61-040 was assigned to Minot Air Force Base, N.D., where it remains in active service. 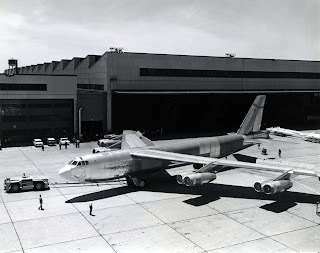 Boeing built 744 B-52s, in eight different models, from 1952 to 1962. 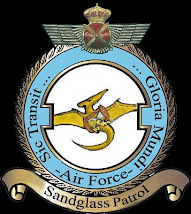 The Air Force fleet today comprises 76 H-models -- two test aircraft at Edwards Air Force Base, Calif., and 74 operational aircraft that are assigned to Minot and to Barksdale Air Force Base, La. All the H-models were built in Wichita. The Boeing B-52 has been the backbone of the United States' manned strategic bomber force for nearly 60 years. Modern engineering analyses show the B-52's expected life span extending beyond 2040. BETHESDA, Md., Oct. 25, 2012 -- Lockheed Martin's (NYSE: LM) Aegis Ballistic Missile Defense System, Patriot Advanced Capability-3 (PAC-3) Missile andTerminal High-Altitude Area Defense (THAAD) Weapon System successfully engaged in the first-ever test of all three systems demonstrating the integrated capabilities of today's U.S. regional missile defense systems. These systems worked together to detect, track, engage and negate two ballistic missile targets and one cruise missile-like target during a complex, live-fire flight test conducted by the Missile Defense Agency (MDA) at the Reagan Test Site on the Kwajalein Atoll in the South Pacific. Known as Flight Test Integrated-01, these different sensors and weapons systems were integrated through the Command and Control, Battle Management, and Communications (C2BMC) system, also developed by Lockheed Martin. The C2BMC is the integrating element for the Ballistic Missile Defense System and links the various sensors and weapon systems. "Today's success demonstrates the strides that have been made in missile defense technologies and the maturity and reliability of these systems," said Dennis Cavin, Vice President for Army and Missile Programs at Lockheed Martin. "This test demonstrates the benefits of a layered, interoperable approach that can help protect the U.S. and allies from increasing security concerns around the world." The flight test began with an Extended Long Range Air Launch Target (E-LRALT) missile airdropped over the broad ocean area north of Wake Island from a U.S. Air Force C-17 aircraft, staged from Joint Base Pearl Harbor-Hickam, Hawaii. The AN/TPY-2 X-band radar, located with the THAAD system on Meck Island, tracked the E-LRALT and a THAAD interceptor successfully intercepted the Medium-Range Ballistic Missile. THAAD was operated by Soldiers from the 32nd AAMDC. Another short-range ballistic missile was launched from a mobile launch platform located in the broad ocean area northeast of Kwajalein Atoll. The PATRIOT system, manned by soldiers of the 94th AAMDC, detected, tracked and successfully intercepted the target with a PAC-3 interceptor. Additionally, a second PAC-3 interceptor also intercepted a low flying cruise missile target over water. The USS FITZGERALD (DDG 62) successfully engaged a low flying cruise missile over water. The Aegis system also tracked and launched an SM-3 Block 1A interceptor against a Short-Range Ballistic Missile (SRBM). However, despite indication of a nominal flight of the SM-3 Block 1A interceptor, there was no indication of an intercept of the SRBM. FTI-01 was a combined developmental and operational test. Soldiers, Sailors, and Airmen from multiple Combatant Commands operated the systems and were provided a unique opportunity to refine operational doctrine and tactics. Program officials continue to assess and evaluate system performance based upon telemetry and other data obtained during the test. Lockheed Martin is a world leader in systems integration and the development of air and missile defense systems and technologies, including the first operational hit-to-kill interceptor. It also has considerable experience in interceptor design and production, infrared seekers, command and control/battle management and communications, precision pointing and tracking optics, as well as radar and signal processing. The company makes significant contributions to major U.S. missile defense systems and participates in several global missile defense partnerships. The MDA and the Navy are jointly developing Aegis BMD as part of the United States' Ballistic Missile Defense System. Currently, a total of 30 Aegis BMD-equipped warships - 26 in the U.S. Navy and four in the Japanese Maritime Self-Defense Force - have the certified capability to engage ballistic missiles and perform long-range surveillance and tracking missions. The number of U.S. BMD ships is expected to increase to 32 by 2014. Since 2006, the THAAD program has successfully completed 12 flight tests, with ten-for-ten intercepts. THAAD and Aegis BMD are the only missile defense systems with the operational flexibility to intercept in both the endo- and exo-atmospheres to provide versatile capability to the Warfighter. The 'hit-to-kill' PAC-3 Missile is the world's most advanced, capable and powerful theater air defense missile. It defeats the entire threat to the Patriot Air Defense System: tactical ballistic missiles carrying weapons of mass destruction, advanced cruise missiles and aircraft. Separately, as part of the Kwajalein Range Service (KRS) joint venture, Lockheed Martin employees directed and controlled the radar, telemetry and optics systems on this test at the newly established Ronald Reagan Ballistic Missile Defense Test Site Operations Center in Huntsville. The corporation also recently helped the U.S. Army Space and Missile Defense Command transition testing activities from the U.S. Army Kwajalein Atoll to this operations center, where the first remote missile defense test was controlled and conducted in February. Lockheed Martin supported that milestone with facility selection, design and preparation – and provided hardware and software programs to facilitate these net-centric distributed operations. Through KRS, Lockheed Martin has supported more than 125 missile defense tests, managing range operations and maintenance on Kwajalein since 2003. Airbus has begun offering customers the ACJ318 Enhanced, a new version of the smallest member of the world’s most modern corporate jet family, which embodies new features and introduces a catalogue of optional extras. Since its entry into service in 2007, when the Airbus ACJ318 introduced the widest and tallest cabin of any business jet to a broader market, the aircraft has set new standards in comfort, space and freedom of movement. The Airbus ACJ318 Enhanced capitalises on this early success by introducing new elements as standard – such as a more elegant cabin decor, new seats and high-definition in-flight entertainment – as well as formalising options such as fuel-saving Sharklets, a shower and a cinema lounge. New features that are standard on the Airbus ACJ318 Enhanced include domed ceilings and window-shades throughout the cabin, which provide a more comfortable feel and ambiance, new linings allowing a better integration of overhead lights and air supply outlets, and light-emitting diode (LED) illumination throughout. Others include a wider choice of seats, including a new one with more comfortable curves and a more stylish shape, high-definition (HD) in-flight entertainment with Blu-ray player, state-of-the-art displays and HDMI interfaces for external equipment, and a new passenger information system. When it comes to options, Airbus ACJ318 Enhanced customers now have a more defined and wider choice. These include Sharklets on the wingtips, which make the aircraft look nicer, as well as saving fuel and extending range, a shower in the ensuite bathroom to allow a fresher arrival, the ability to transform the aft lounge into a cinema, and mood-lighting. Other options include ipod and ipad interfaces, including for cabin management, wireless local area network (LAN), even greater soundproofing, and a humidifier. As previously, customers will continue to have a wide choice of colours and fabrics, allowing them to adopt their preferred look and feel for the cabin. Numerous other detail improvements incorporating the views and suggestions of customers, as well in-service experience, complete the Airbus ACJ318 Enhanced offering. Airbus corporate jets are derived from the world’s most modern aircraft family. They have won more than 170 orders to date, from companies, individuals and governments, and are flying on every continent, including Antarctica. Launched in 2005 as the Airbus A318 Elite, the aircraft features a cabin created by Lufthansa Technik in partnership with Airbus. Designed to appeal to a broad market, the aircraft’s cabin is crafted to have a feel that is businesslike yet comfortable, an arrangement that is stylish yet practical, and an appearance that is individual yet with widespread appeal. The Airbus A318 Elite was renamed the ACJ318 in May 2011 to reflect the spirit of innovation and commonality which it shares with the rest of the family, as well as to have a consistent nomenclature throughout. Airbus’ A320neo programme has moved a step closer to the real aircraft with the assembly of the first engine-to-test – the Pratt & Whitney (P&W) PurePower PW1100G-JM engine. This engine is due to begin testing very soon at P&W’s facilities in Florida, USA. The PurePower engine uses an advanced gear system for the fan. This configuration was validated in Toulouse on Airbus’ A340 flying-testbed aircraft in 2008 during P&W’s ‘geared-turbofan’ conceptual phase. The gear allows the engine’s fan to operate at a different speed than the low-pressure compressor and turbine. The combination of the gear system and an all-new advanced core is a solution which delivers fuel efficiency and environmental benefits. 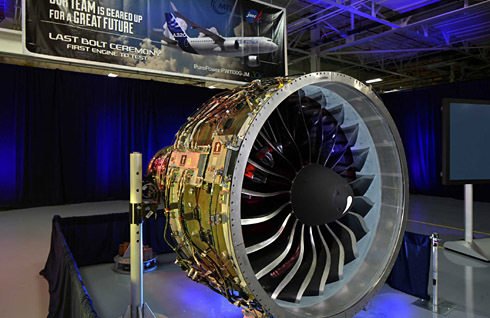 The A320neo gives operators a choice of two new engines – the PurePower PW1100G-JM from Pratt & Whitney and CFM International’s LEAP-1A turbofan, each with a fully optimised fan diameter and advanced core. Moreover, coupled with Airbus’ Sharklet large wing tip devices, these enhancements together ensure that the best-selling A320 Family will retain its market leading position as the most capable and cost-efficient single-aisle airliner for the foreseeable future. Overall the A320neo Family will deliver fuel savings of 15 percent and an additional flight distance of 500 nautical miles (950 kilometres), or the ability to carry two tonnes more payload at a given range. For the environment, the A320neo’s fuel savings translate into some 3,600 tonnes less CO2 per aircraft per year (the equivalent of taking 1,000 mid-size cars off the roads). Additionally, the A320neo NOx emissions are 50 percent below CAEP/6, and this aircraft also has a considerably smaller noise footprint. The A320neo, with almost 1,500 firm orders from 30 customers since its launch, is the fastest selling commercial aircraft ever and is on track to enter service from 2015. For the A320 Family as a whole, over 8,600 aircraft have been ordered and almost 5,300 delivered to about 350 customers and operators worldwide reaffirming its position as the world’s best selling single-aisle aircraft Family. The A320neo has over 95 percent airframe commonality making it an easy fit into existing fleets. Airbus is the world’s leading aircraft manufacturer offering the most modern, innovative and efficient family of passenger airliners on the market, ranging in capacity from 100 to more than 500 seats. Airbus has design and manufacturing facilities in France, Germany, the UK, and Spain as well as subsidiaries in the US, China, Japan and in the Middle East. Headquartered in Toulouse, France, Airbus is an EADS company. Dassault Introduces The Falcon 2000LXS: Provides Company Update At NBAA 2012 Dassault Falcon unveiled the Falcon 2000LXS on the first day of the NBAA conference in Orlando, FL, Monday. The company says the updated airplane offers improved airport performance, payload and cabin comfort compared to the Falcon 2000LX which it will replace in 2014. The 4,000 nm Falcon 2000LXS will allow operators to access more airports because of new full-length inboard slats which give the aircraft category-leading airport performance and balanced field length. Honeywell Green Jet Fuel Powers Gulfstream Flights To NBAA: Five Aircraft Fly Together For The First Time Using Renewable Jet Fuel To National Business Aviation Association Convention Demonstrations flights by Gulfstream aircraft at this year's NBAA convention are being powered by Honeywell Green Jet Fuel, produced using Honeywell's UOP Renewable Jet Fuel process. Five Gulfstream aircraft traveled on October 27 and 28 from Gulfstream's headquarters in Savannah, GA, to Orlando, FL, for the NBAA convention. 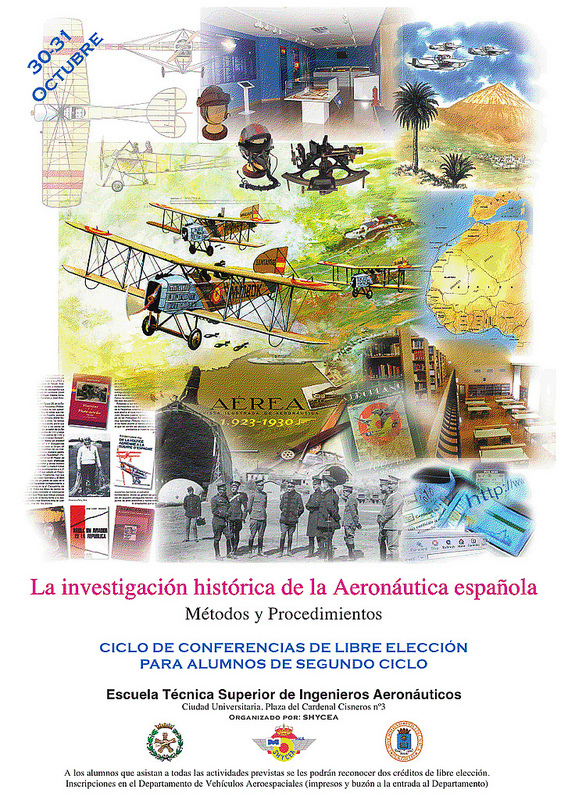 Se trata de una conferencia del seminario que organiza el Servicio Histórico y Cultural del Ejército del Aire y que también se computa como créditos de libre elección para los alumnos de segundo ciclo que se inscriban y asistan a las mismas. El acceso es libre hasta que se complete el aforo, las conferencias tendrán lugar en el salón de actos de la ETSIA que se encuentra en la Ciudad Universitaria, Plaza del Cardenal Cisneros nº3 de Madrid. El salón de actos está en el edificio número 2, justo detrás del edificio principal. NAVAL AIR: J-15 ArrivesOctober 29, 2012: The Chinese carrier fighter, the J-15, appears ready for production. One was recently seen making touch and go landings on the new carrier Liaoning. Several J-15s have been seen at navy air bases painted as combat, not development, aircraft. About twenty J-15s have been built so far for use in testing. For most of the last decade China has been developing the J-15, which is a carrier version of the Russian Su-27. There is already a Russian version of this, called the Su-33. Russia refused to sell Su-33s to China, when it was noted that China was making illegal copies of the Su-27 (as the J-11), and did not want to place a big order for Su-33s, but only wanted two, for "evaluation." China eventually got a Su-33 from Ukraine in 2001, which inherited some when the Soviet Union dissolved in 1991. Madrid.- Por una Resolución de Aviación Civil publicada el pasado sábado en el BOE se aplaza hasta por dos años la aplicación de la normativa de la UE sobre “operaciones de transporte aéreo comercial con aviones y helicópteros, incluidas inspecciones en pista de las aeronaves de operadores bajo la supervisión de otro Estado”. Luxemburgo.- El sistema de control del tráfico aéreo europeo debe modernizarse cuanto antes y debería convertirse en un espacio aéreo único; de esta manera, se reduciría la congestión, el retraso de los vuelos y las emisiones contaminantes, ha dicho el Parlamento Europeo en su resolución adoptada el pasado martes, según la ponente Jacqueline Foster. 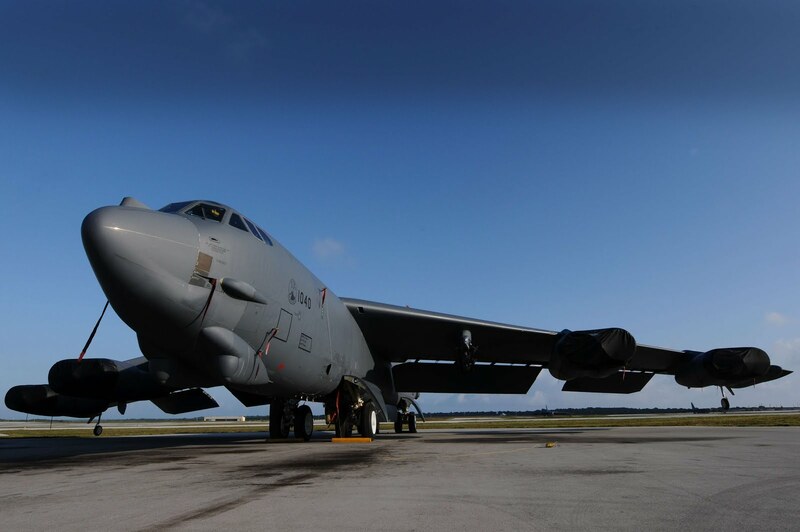 The US Air Force's fleet of B-52 bombers soldiers on, showing no signs of retiring in the near future. The youngest aircraft, the last to leave the production line, tail# 61-0040, is now 50 years old, and based at Minot AFB, North Dakota. Of 744 B-52's built, around 75 'H' models remain in service, with some expected to last until 2040, when they will be an incredible 80 years old ! Changing Weather, UAV Integration Will Require Increased Industry Collaboration: ATC Global Demonstrated Possible Scenarios At Recent Virtual Event The weather is changing and - as over 200 air traffic management (ATM) professionals from around the world learned as part of the ATC Global virtual event held October 17 - air navigation service providers (ANSPs), airports and aircraft operators will have to work increasingly closely to prepare for and mitigate extreme weather conditions, from the sub-Saharan Africa to the northern Europe and the United States. The Eagle Has Landed ... Again (Virtually): Website Allows Visitors To Experience The Apollo 11 Lunar Landing Minute-by-Minute An educational interactive website featuring the first lunar landing as experienced minute-by-minute by the crew of Apollo 11 and Mission Control has been launched by website and software audio-visual synchronization company Thamtech. Lufthansa (LH) and Australia-based Algae Tec have signed a collaborative agreement to build facility that would produce algae on a large scale and convert it to aviation biofuels. The site will be in Europe and located adjacent to an industrial CO2 source, the companies said in a statement. LH will arrange 100% funding for the project while Algae Tec will manage it and receive license fees and profits. Pratt & Whitney has completed assembling its first PurePower PW1100G-JM test engine. The European Commission (EC) has published proposals to limit the amount of food-based (so-called “first generation”) biofuels that can be counted towards the renewable energy targets set for the European transport sector, including aviation. The EC plans to cap the percentage of first generation biofuels and bioliquids that can be counted towards the overall 10% target it set for the transport sector in 2009 at the current consumption level of 5% until 2020. A combination of active reduction measures and a milder winter saw Swedish airport owner-operator Swedavia attained carbon-neutral status in 2011. The state-owned organization, which oversees 11 airports in the Scandinavian nation, has a target of zero CO2 emissions by 2020. Last year’s output of 4,600 tonnes of CO2 was a drop of 44% over 2010, achieved by substituting renewable fuel sources for fuel oil for heating, the organization said. A relatively mild winter also saw lower use of snow removal and ice-clearing airport vehicles. NASA DC-8 Airborne Science Laboratory Aided By Universal Avionics: Latest Datalink Assist In Scientific Research NASA’s DC-8-72 jetliner, modified to support the agency’s Airborne Science mission, was recently equipped with Universal Avionics’ latest airborne datalink, UniLink UL-801 Communications Management Unit (CMU) and UNS-1Fw WAAS/SBAS-Flight Management Systems (FMS). Emissions Trading Scheme, simply a revenue stream? Emissions Trading Scheme, simply a revenue stream? : Despite airline emissions continuing to spiral, the EU's best laid plans for reductions have come under vehement attack. Liam Stoker investigates the Emissions Trading Scheme, its various detractors and a possible alternative. El C919, cuya versión de base está prevista para una capacidad de 168 pasajeros, tendrá autonomía de vuelo de hasta 5.555 kilómetros, según el portal de internet de la empresa que lo construye, Commercial Aircraft Corporation of China (COMAC). Hay por lo visto más negocio en las tareas de mantenimiento, revisión y reparaciones (MRO en inglés) que en la fabricación de los aviones. Son trabajos para especialistas, actividades profesionales reguladas por ley que sólo las pueden realizar el personal que cuenta con una certificación llamada EASA PARTE 66. Para formar a este personal, las escuelas deben así mismo disponer de otra certificación llamada esta vez 147. En Andalucía solo conocemos a una organización que se dedique a esta formación: Caena, dentro de las instalaciones que la firma Faasa tiene en Palma del Río, y lo hace con la ayuda de la Junta de Andalucía, mira, una cosa bien hecha, hay que reconocerlo. Hay escasez de estos profesionales tanto en España como en Europa.